We're headed south to play at the Valley of the Vapors festival. 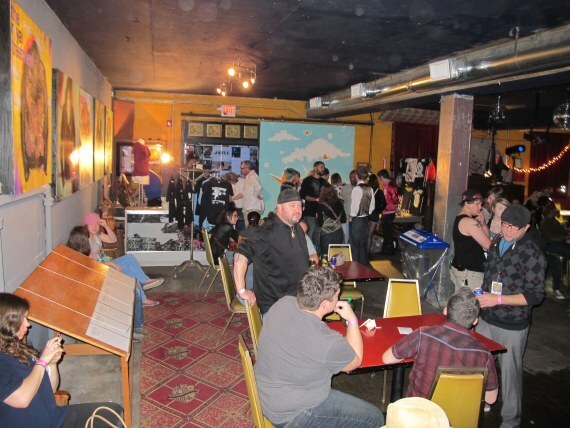 It was a very nice event in a cool space (Low Key Arts) filled with art and tacos. 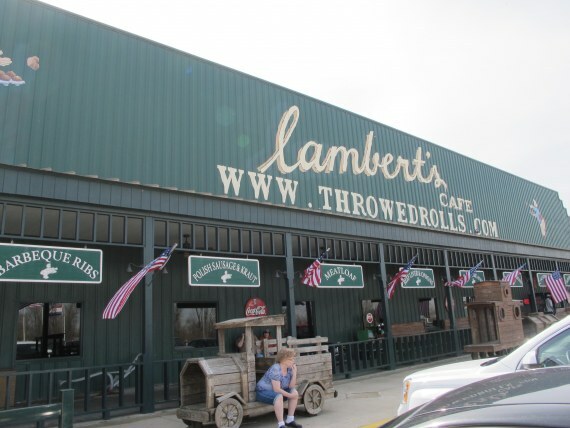 One of the highlights of the long drive down was a stop at Lambert's Throwed Rolls. Great southern food ladeled onto your plate and hot rolls throwed through the air! Hot Springs is a swell little tourist destination. 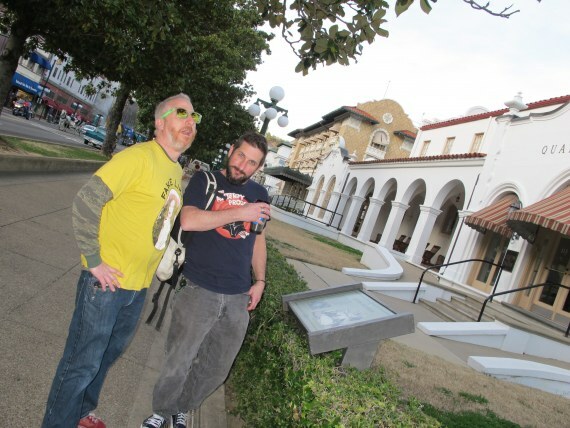 Here's John & Tony taking in the sights in front of the many old-timey bath houses that line the main strip. 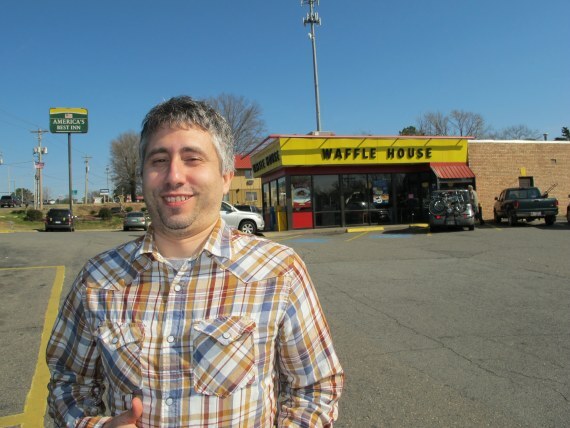 The only way the band could convice Robert to agree to a show this far away was with the promise of Waffle House.